This article is 3083 days old. 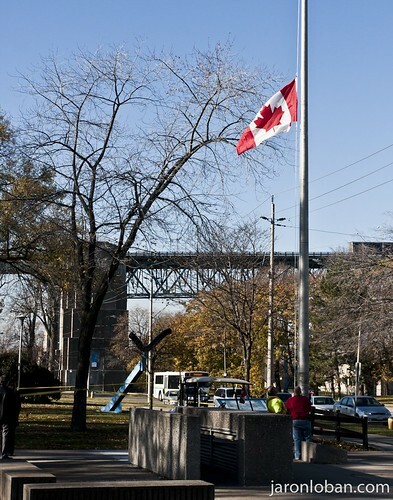 University of Windsor staff lower the Canadian flag on University Avenue to half mast Thursday morning ahead of the University’s Remembrance Day Ceremony. 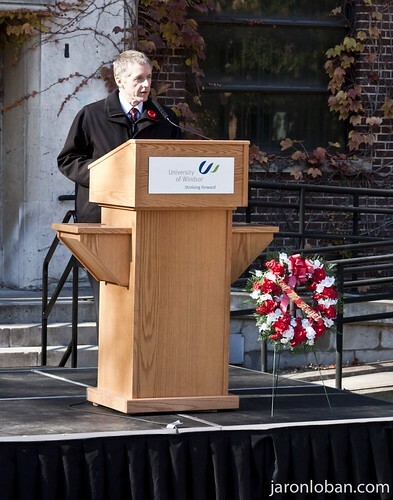 The November sunlight warmly lit the somber crowd of faculty, staff and students as they gathered outside of Memorial Hall on the University of Windsor campus Thursday morning. 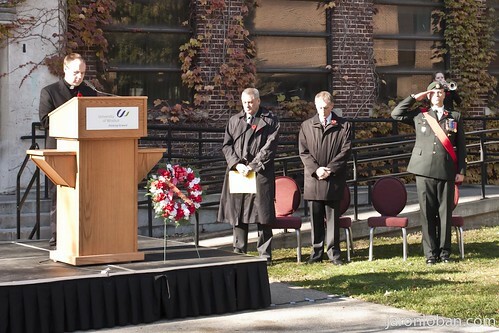 A modest stage with a podium and wreath was the setting for a Remembrance Day ceremony to honor Canada’s fighting forces of past and present. University of Windsor President Alan Wildeman addresses staff and students. 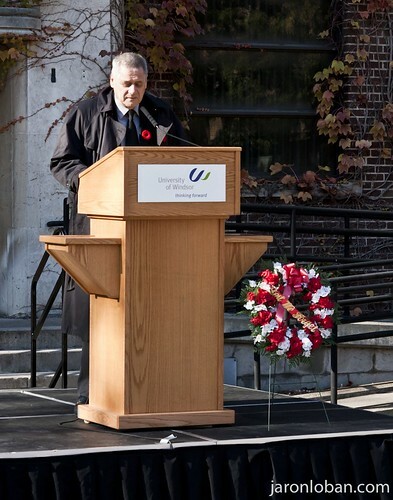 An emotional reading of “In Flanders Fields” by Professor of Dramatic Arts Brian Taylor. 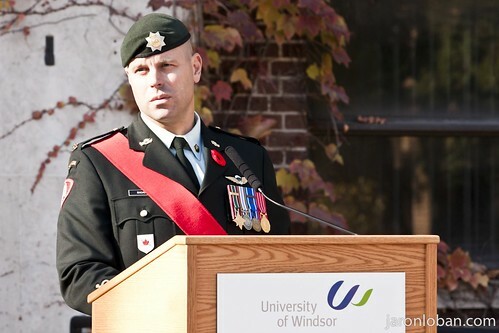 Warrant Officer Shawn Rhodes, a Windsor native, speaks to staff and students about his experiences, and those of friends. 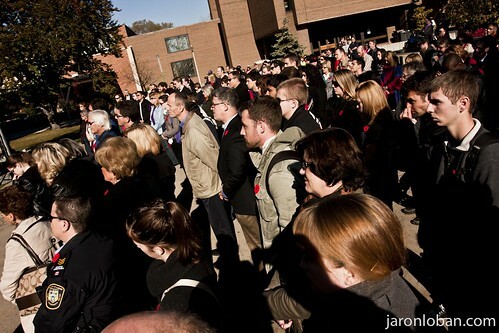 Staff and students gather to remember and pay tribute to Canada’s fallen soldiers. Reverend Chris Valka of Assumtion University gave a short prayer before the two minutes of silence. A choir broke the silence with “O Canada”, the crowd sang along. 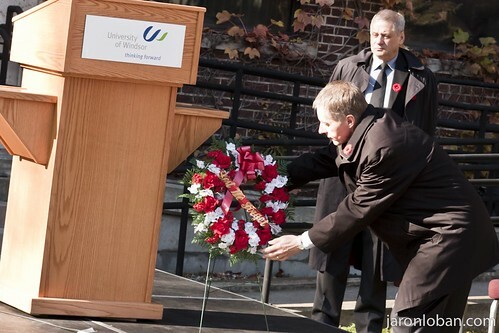 President Alan Wildeman carries a wreath to the cenotaph inside Memorial Hall. 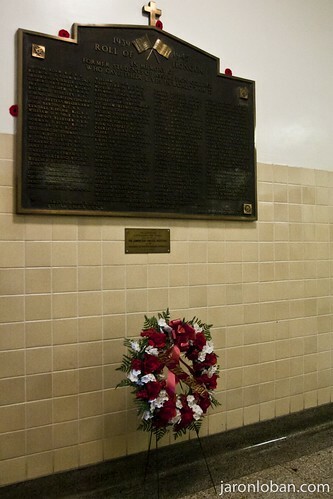 The wreath and poppies are left at the cenotaph inside the University of Windsor’s Memorial Hall. 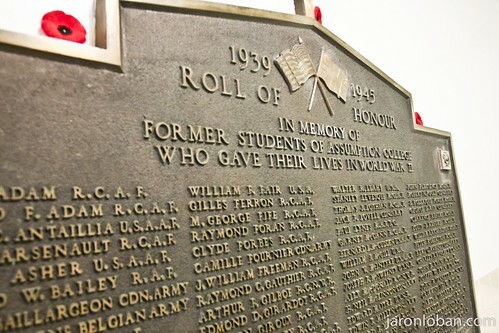 The monument honors the students of Assumption College who died in the Second World War.